H Infiniti ξεκίνησε την παραγωγή του νέου Twin-Turbo V6 κινητήρα της 3.0-λίτρων που τοποθετεί αρχικά στο πανέμορφο Q60 Coupe και στο Q50. Ο νέος κινητήρας κατασκευάζεται στο εργοστάσιο Iwaki της Ιαπωνίας και είναι ο ελαφρύτερος, ισχυρότερος και πιο αποδοτικός V6 στην ιστορία της ιαπωνικής εταιρίας. Έχει κωδική ονομασία VR30 και θα είναι διαθέσιμος σε δύο “εκδόσεις”. Μία με 304 άλογα στις 6.400 σ.α.λ. και 400 Nm από τις 1.600 σ.α.λ. και μία με 405 άλογα και 475 Nm στις ίδιες στροφές. Στην πρώτη έκδοση καταναλώνει 10,2 λίτρα καυσίμου ανά 100 χιλιόμετρα εκπέμποντας 154 γρ. CO2 ανά χιλιόμετρο ενώ στην δεύτερη, χρειάζεται κατά μέσο όρο 10,7 λίτρα βενζίνης και εκπέμπει 206 γρ. CO2 ανά χιλιόμετρο. Η Infiniti τοποθετεί αισθητήρες ταχύτητος στην τουρμπίνα που επιτρέπουν στα πτερύγια της να περιστραφούν έως και με 220.000 σ.α.λ, ενώ ο κινητήρας διαθέτει έναν μικρό ηλεκτροκινητήρα στο σύστημα χρονισμού των βαλβίδων, με την εταιρία να υποστηρίζει πως ο κινητήρας προσφέρει κορυφαία απόκριση γκαζιού. 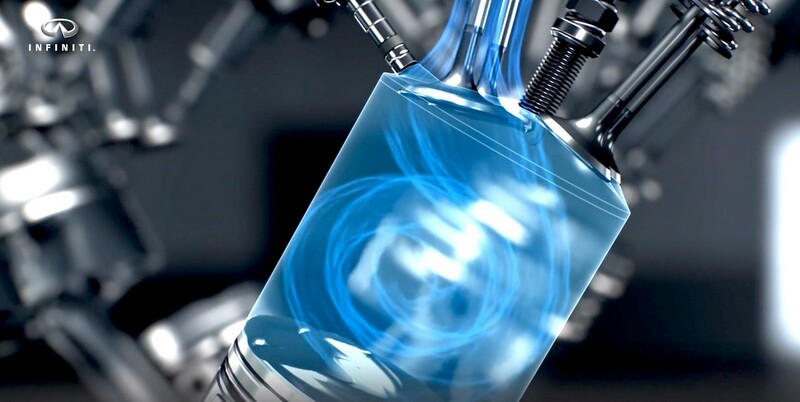 Rolle, Switzerland – Production of the all-new compact and lightweight 3.0-litre V6 twin-turbo engine has started at Nissan Motor Co.’s state-of-the-art engine manufacturing facility, the Iwaki Plant in Japan. This engine is exclusively offered on Infiniti vehicles. 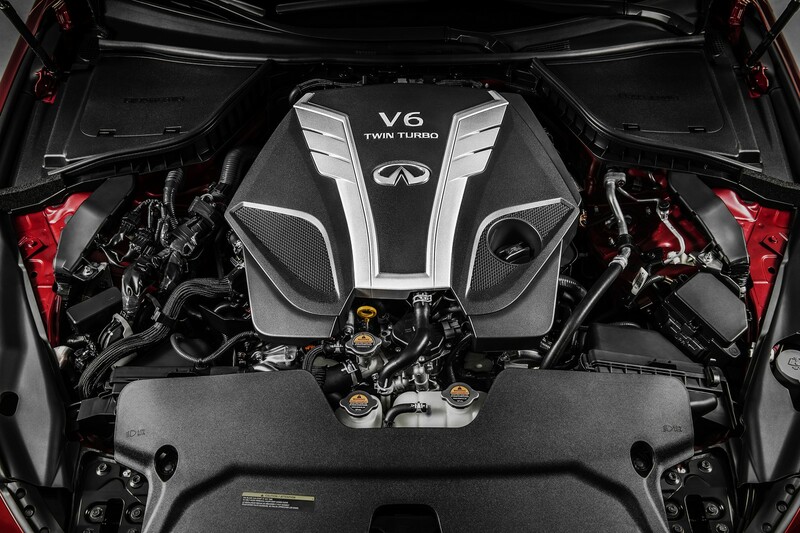 The new V6 engine is the lightest, most powerful, cleanest and most fuel-efficient V6 engine that Infiniti has ever offered delivering the ideal combination of drivability, efficiency, and performance. It has been developed to supply optimal power and torque for an engine of its size, together with optimized fuel efficiency. The 3.0-litre V6 twin-turbo is available in two performance levels – 304 or 405 PS. In Europe, Infiniti will only offer the higher output version. This engine belongs to the exclusive VR-series powertrain family, born out of the brand’s long-standing heritage of V6 engine production at the Iwaki plant. The VR30 was created through extensive in-house experience of six-cylinder powertrain development and backed up by a strong history of V6 engines having been listed as a “Ward’s 10 Best Engines” for fourteen years from 1995 to 2008, an unrivalled achievement. The first application of this engine family will be in the 2016 Infiniti Q50 sports saloon. Along with a number of technology upgrades, Q50 will deliver more empowering performance and a more rewarding driving experience. It will also be available for the all-new Q60 sports coupe, which celebrated its European Premiere at Geneva Motor Show this year. Designed and engineered to perform, and benefitting from the advanced technology of the V6 engine, the Q60 will play an important role in the sports coupe segment. The Iwaki Plant is a state-of-the-art engine manufacturing facility within the Nissan Motor Co. production network. Located in Japan, the plant comprises an area of more than 200,000 square meters and employs close to 600 people. Beginning operations in January 1994, the plant has achieved an automation rate of more than 60%. 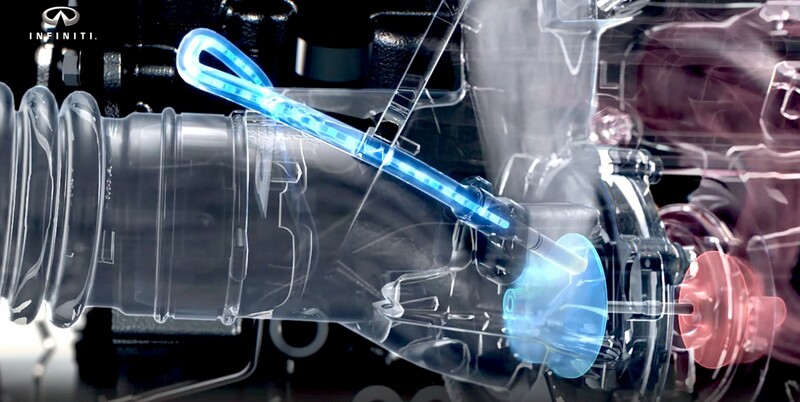 The plant’s integrated production system produces superior quality engines at high efficiency. The advanced engines produced at Iwaki are renowned for their outstanding fuel economy, compact size and light weight, and have won numerous awards in both Japan and the U.S. for their superb performance and superior engineering.